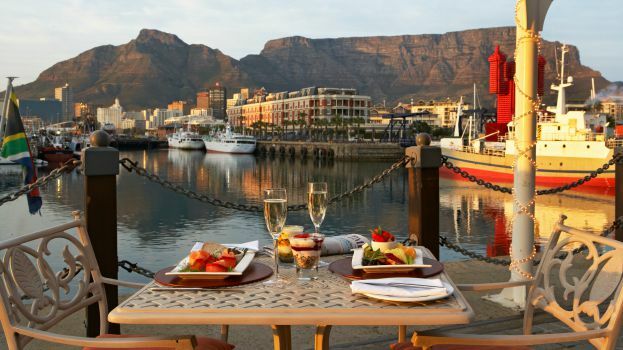 Springtime is picnic time – and what better place to enjoy a sumptuous picnic than alongside the ocean at Oyo Restaurant at the V & A Waterfront, whilst sipping a glass of fine Waterkloof wine and listening to Watershed performing live on stage? Guests will be treated to a fantastic picnic lunch right at their table and, weather permitting, OYO’s terrace will be open for proper al-fresco dining looking over the water’s edge. Much loved South African band Watershed will entertain with two unplugged sets of their well-known and distinct blend of soft rock. Classics such an “Indigo Girl” and “Letters” are sure to get picnic-goers excited! 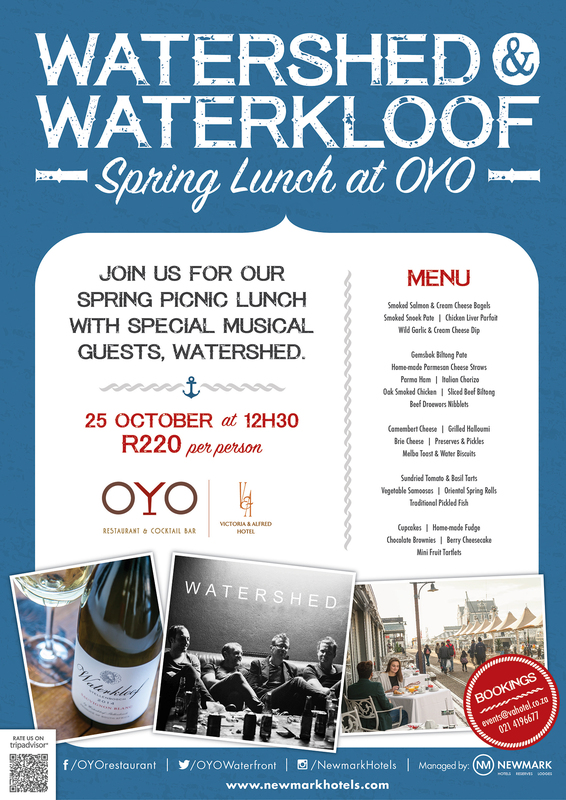 The “Watershed and Waterkloof Spring Lunch at OYO” costs R220 per person and includes the live music and a delicious spring picnic menu. The full range of Waterkloof wines will be available to purchase at extra special prices. Places are limited! Contact Felicia on events@vahotel.co.za or 021 419 6677 to make your booking.